Are you a coffee lover? Are you committed to just one brand and flavor of coffee? Or have you considered certain trying various different flavors or types of coffee drinks? The good news is—there are hundreds of different variations and roasts of coffee, making each cup a special treat. Adding flavors and other ingredients also makes each one taste different. Espresso is another way to prepare coffee, making it stronger and more robust than a drip-produced coffee cup. What’s the difference between espresso and coffee? Here are just a few examples of coffees and espressos and how you can enjoy the different types and variations. Is There A Difference Between Espresso And Coffee? Do A Lot Of People Drink Coffee And Espresso? Why Do More People Choose Coffee Over Espresso As A Morning Go-To Drink? The coffee cherry was believed to be first discovered back in the 9th century, when a goat herder took some beans or pits from within the fruit and noticed the robust and bitter flavors immediately. Through the centuries, the pits or beans were roasted and formed into a drink that attracted others through the burst of energy and sharpness derived through liquid consumption. Coffee beans are now grown throughout the world, in subtropical and mountainous areas in a variety of soils. Each plant generates its own unique flavor, so it’s difficult to duplicate the taste from location to location. Coffee is divided into two main species or types—Arabica being the most popular and Robusta. The kind you’re likely to find on store shelves and in restaurants worldwide is Arabica. Small specialty coffee manufacturers and cafes may carry other rare genus varieties. Performing a taste test is the best way to decide which one is the best for you and your taste buds. When you taste coffee, no two cups are hardly the same. This is because of the manufacturing process of the beans and the roasting of the coffee beans as well. The drying of the beans has a huge impact on how well the taste is preserved inside of the cherry. Once dried, they are carefully bagged and shipped to a cupper or buyer who will carefully analyze the smell, taste and size of the beans. From there, buyers ship the beans to manufacturers to be sold on the marketplace. Some beans may be roasted or ground or left in their natural form—depending on the needs of the consumer. 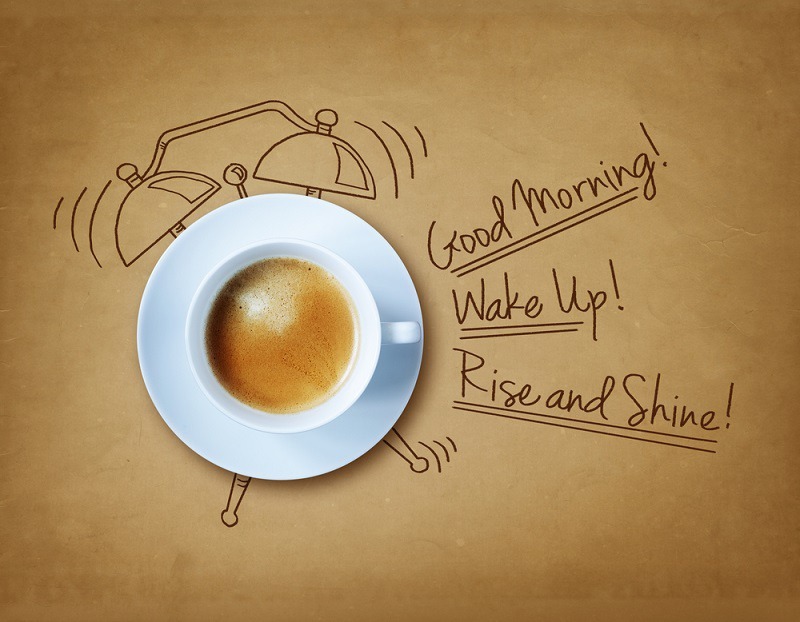 Do you enjoy your coffee already ground and ready for the espresso or coffee maker? Or do you prefer to grind the beans yourself? Now that we know what coffee is and where it comes from, what is Espresso? Is it a specific kind of coffee bean? Or is it a coffee bean at all? Again, so what is espresso? Espresso plainly put is a process. It’s a type of strong-flavored coffee that is created by forcing steam through ground up coffee beans. It is often blended using several types of strong roasts of coffee. It’s created by taking the ground coffee and tightly packing it into a filter system. From there, a high pressure water flow is generated to go through the grounds. Then it is forced through a small nozzle in concentrated amounts. It should never taste bitter, but instead have a bold, robust flavor that is much stronger than coffee. It also delivers a lot more of a caffeinated punch as opposed to a regular cup of Java. Espresso seems to have originated in Italy, and remains one of the country’s more popular drinks to date. Because coffee and espresso are essentially the same thing, the only difference between the two is how they are brewed. Espresso is brewed in more concentrated amounts and at a faster pace. Espresso can use either very hot water—over 200 degrees for a more roasty flavor. Or temps can be lower—around 150 degrees Fahrenheit for a brighter and mellower flavor culmination. Not all coffee shops serve espresso. Special equipment is needed to pack the coffee with a tamper to produce the true effect of an espresso. Espresso produces a frothy topping that is basically an effect from the coffee and the steam. This is often referred to as a froth or cap of crema. Other coffee drinks, such as lattes reproduce this with regular cream or other tools that create a frothy effect on top of the cup of coffee or specialty drink. Coffee can be specially brewed to have a similar taste to an espresso. Depending on how dark the beans and how long they are roasted can give them a stronger, bold taste, similar to an espresso. Ask your barista to customize a cup of coffee or espresso that meets your specific taste needs. Or you can experiment with different varieties of ground coffee from the comfort of your home. 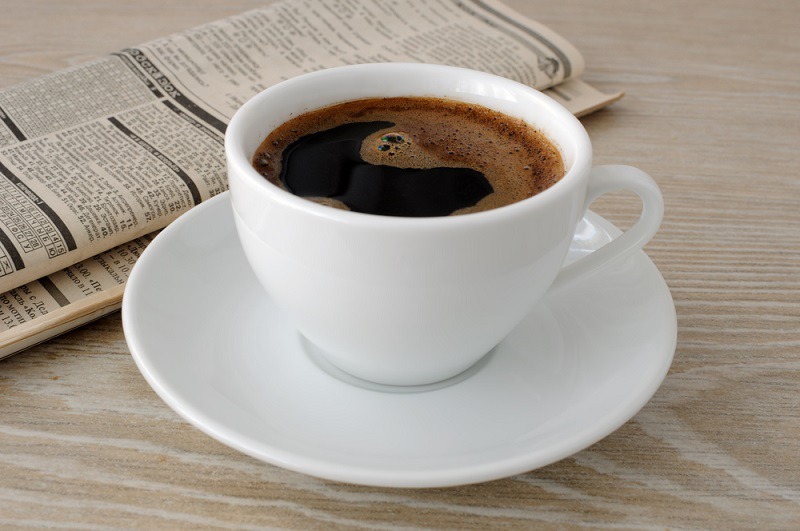 According to Climate.gov, coffee drinkers around the globe drink over 2.2 billion cups of Java daily. From their favorite corner coffee shops to home brewed varieties, a lot of people enjoy coffee on the daily! While statistics vary from country to country, Coffee ranks among one of the top 5 beverages on the entire planet. Mocha– Hot chocolate drink blended with a coffee base. Cappuccino– Includes steamed milk foam, hot milk and espresso. Latte– Made with espresso and steamed milk. Coffee Milk– Coffee with a strong milk base. Iced coffee– Coffee prepared and then served frozen or over ice. Iced cappuccino– A cappuccino prepared and then frozen or served over ice. Flavor based coffee– A coffee with added flavor such as hazelnut or vanilla. Alcoholic coffee– A coffee with added alcohol or liquor. Coffee liqueur– Coffee base with a sweetened added liqueur flavorings such as faux rum or cherry. 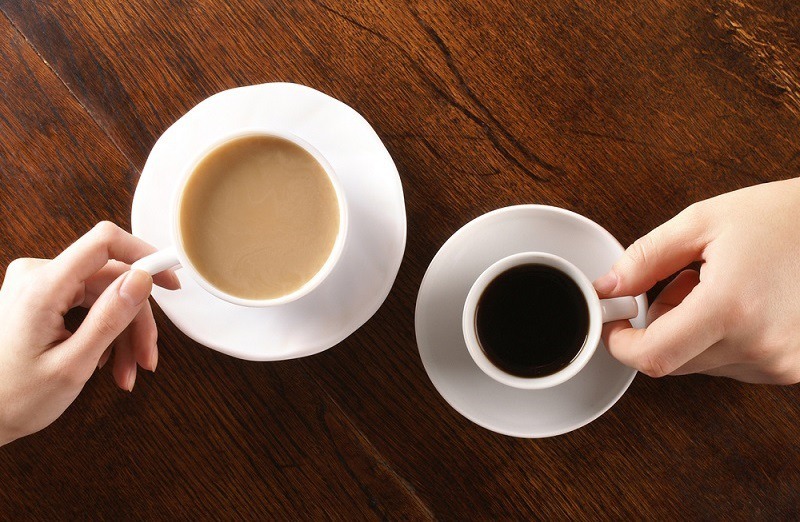 Tea and coffee– Adding a strong coffee base to existing tea. Coffee and cream– Coffee with a strong cream or vanilla base to it. Cold brewed coffee– Brewing coffee without steam or hot water. Because of the countless varieties of coffee and espresso, you can choose several different ways to enjoy it—at almost every meal or occasion. 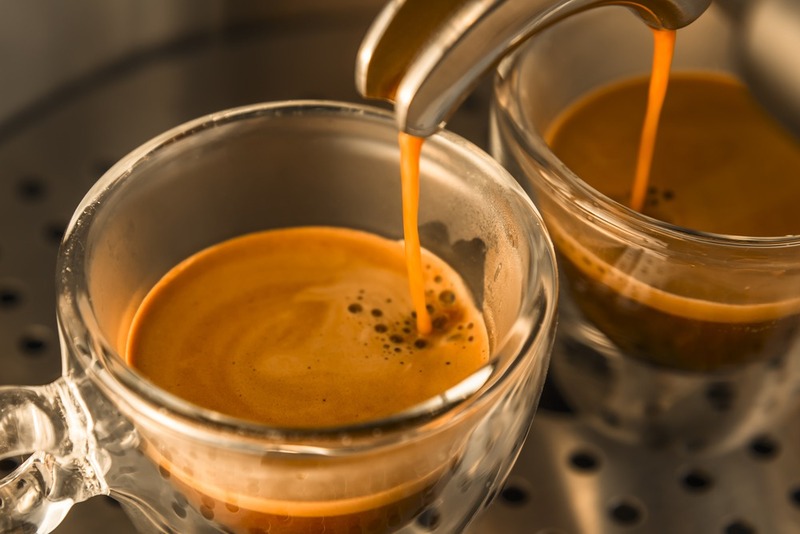 Another big question among many coffee drinkers and espresso connoisseurs is should your coffee or espresso be caffeinated or non-caffeinated. Coffee is by nature, a caffeinated drink. One of the main attractions to coffee is the pep it gives you after finishing a cup. A stronger, robust coffee often packs a serious caffeine punch. This boosts energy and increases metal alertness and awareness. Those who are sensitive to caffeine may choose non-caffeinated varieties of coffee. Coffee manufacturers do create non-caffeinated types of coffee, but that doesn’t mean they have the extraction process down to a science. There are often trace amounts of caffeine left behind. Keep this in mind the next time you drink a few cups of coffee at your favorite restaurant. The difference when choosing an espresso over a coffee in regards to caffeine, is that there may be slightly less flavor when choosing a hot, steamy espresso. Coffee makers use a steaming process that takes about 30 minutes to complete. From there, the pores in the coffee are opened. The beans are rinsed in a solution of ethyl acetate to help remove the caffeine. This takes away a small amount of the coffee’s flavor. 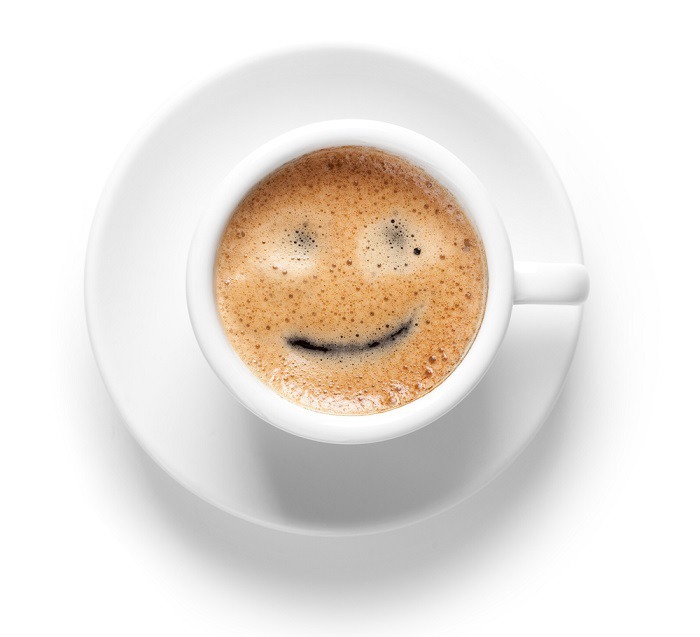 With espresso, because there is generally nothing added to the drink, it may be less strong than a cup of coffee, in which cream and sugar is often added. If you’re wanting to prepare a nice, hot cup of coffee for some of your guests and a shot of espresso for others, you’ll have to learn the difference. Making a cup of coffee means you’ll need the right coffee percolator or machine to allow the grounds to slowly make their way through the straining process and into the cup. Most modern coffee machines make this an easy feat and all you’ll need is your standard coffee filters and some purified water in the machine. The coffee should be served hot, right away, unless you’re making a cold drink. The difference when preparing an espresso is the machine. You’ll have to have an espresso machine that reaches a high enough temperature to heat the grounds and force them through the machine. An espresso should also be served right away. An espresso takes less time to make than a standard cup of coffee, unless you’re using a single-serve coffee maker. The biggest difference in preparing beans for a cup of coffee versus an espresso shot is how you grind them. You can purchase beans pre-ground specifically for espresso drinks, or you can choose to grind them yourself, for a fresher experience. It’s recommended to tamp down the grounds with about 30 to 40 pounds of pressure. This creates a finer ground so that less air and water can pass through them. The goal is to get the most coffee flavor in an espresso, rather than just a small amount–much like a regular cup of coffee. In the end, the main difference is flavor. Coffee is more subtle and smooth, while an espresso shot is more bold and flavorful. If you’re walking around downtown New York in the morning or any busy area where there are lots of people heading to work, one thing you’re sure to see is a long line at the corner coffee shop or kiosk. On the menu is generally a long list of coffees and espresso varieties. But do more people choose a large cup of coffee or a shot of espresso? The main reason coffee is so popular is because of its flavorful taste, ease of use and cost readiness. You can grab a cup of coffee for a very good price—sometimes just pocket change. This makes an affordable option for almost everyone in any type of social sector. All differences aside, many people love to combine their espresso and coffee tastes. Most speciality coffee shops and cafes will give you a cup of coffee with a shot of espresso. This gives you your favorite cup of coffee, but offers the added caffeine punch and bold flavor of espresso. So when looking at coffee and espresso in comparison, keep in mind that a lot of people enjoy combining the two together, for a unique taste and added kick to beat the morning rush before work or school. With the increase in a variety of coffee maker models and espresso machines available for home use, many people can make their own specialty drinks at home. This makes taking that espresso or coffee on the go, no matter if they’re heading to the boardroom or the backcountry trails. From the history of coffee and its simple discovery to the evolution of flavor varieties to complex brewing machines, the coffee bean has come a long way over the past few thousand years. With the introduction of the espresso machine, lending a different way to brew a coffee bean, new coffee brews are breathing new life into how humans enjoy their favorite drink. As the days and years move forward, new advances in coffee making and distribution will be in constant change. What’s your favorite? Espresso with all of the fancy fixings? Or is it a simple, classic cup of Java straight black with no cream or sugar. No matter what your choice is, knowing that the coffee bean has been around for ages and will likely remain a tried and true drink for generations to come is assuring and satisfying within itself.